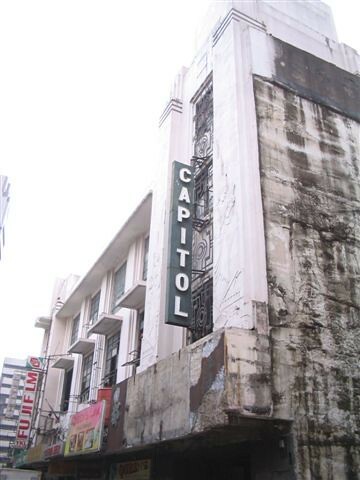 The Capitol Theater, designed by Juan Nakpil in 1935, explicitly portrays Filipinas in the native garb on the front elevations. 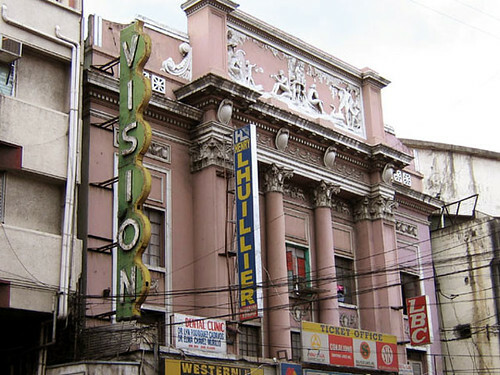 The women, set within a tropical landscape, evoke a faraway rural and bucolic place very much different from the urbanized and built-up setting of the commercial district of Escolta in Manila. 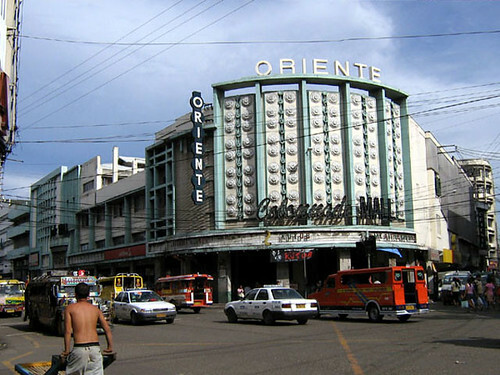 If the situation is closely inspected, the Filipino designers employing art deco were not considered as part of the “rural folk” being represented in the stylistic ornamentations, but rather were metropolitanized architects who were in fact part of the “new” cultural elite of cosmopolitan Manila (Salamanca 1968, 91-92). Thus, they were not necessarily experiencing in their daily lives the “rural” and “native” imagery that they were enacting.